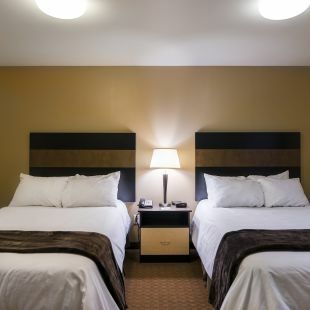 Cozy in to our two Full My Place Plush beds with microfiber sheets and duvets. Free internet access. Our rooms feature My Kitchen: which includes a full fridge, coffee maker, microwave, and 2 burner cook top. A table with 2 chairs is provided for dining. Make My Place, Your Place.